Winston The Wizard Pearson Winston is a magic wizard. He does a magic spell. Oh no! My black cat is a dog now! Where is my wand? Where is my magic? I want my cat! Winston The Wizard Williams Melanie Winston is a magic wizard. He does a magic spell. Oh no! My black cat is a dog now! Where is my wand? Where is my magic? I want my cat! 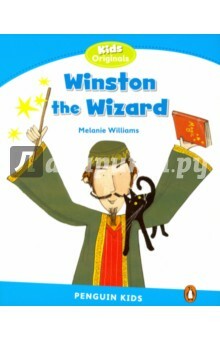 Аннотация к книге "Winston The Wizard"
Winston is a magic wizard. He does a magic spell. Oh no! My black cat is a dog now! Where is my wand? Where is my magic? I want my cat! Жанр: Изучение иностранного языка и др. Если вы обнаружили ошибку в описании книги "Winston The Wizard" (автор Melanie Williams), пишите об этом в сообщении об ошибке. Спасибо!